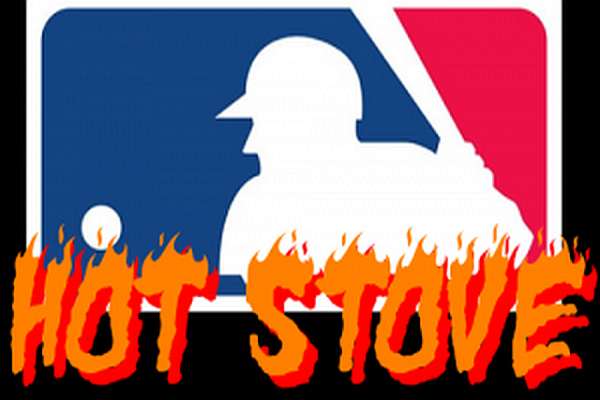 MLB Hot Stove Season: What’s happened so far? What’s next? The 2018 baseball season saw a number of new teams emerge from mediocrity and become quasi-contenders, while some division mainstays took a step back. These trends make this offseason a critical one for a number of ballclubs – those trying to take the next step into contention, and those trying to maximize their window of opportunity before it closes. The Rays, Athletics, Pirates, Brewers, Rockies, Braves, and Phillies all are making great progress in their respective rebuilds. A big splash this offseason can accelerate their path to a World Series. Meanwhile, the Nationals, Cardinals, Cubs, Indians, and (dare I say it) Dodgers all had disappointing seasons, which will add some extra motivation to the front offices to make some impact moves. There are plenty of pieces out there, either via free agency or guys potentially on the trade block. It’s only November, so we’re just scratching the surface of the offseason market. Here’s some of the moves that have happened already, and some of my projections for where other big names will fall. James Paxton traded to the Yankees. The Yankees weren’t a legit contender in 2018. They got a ton of hype and were grouped with the best teams in baseball, but their pitching staff kept them anchored to the ground. They weren’t getting past the Red Sox, Astros, or Indians in a 7-game series with their big 3 of Severino-Tanaka-Sabathia leading the rotation. There was some trade deadline talk about the Yanks being interested in some frontline starters (deGrom, Syndergaard, Archer, Fulmer), but none of those rumors gained any traction. This year’s early playoff exit must have been a wake-up call for Brian Cashman, who wasted little time trading away his top prospect Justus Sheffield for James Paxton. I think Paxton is the missing puzzle piece for the Yankees squad. He’s incredibly talented, and will go through stretches where he looks like the best pitcher in baseball. Big Maple will challenge Luis Severino as the top pitcher in the Yankees rotation. Health could hold him back (160 innings in 2018 was the most he’s ever pitched), but the strikeout capability is undeniable. Paxton is also a lefty, which will bode well in Yankee Stadium. Great move, and absolutely necessary if New York wants to keep up with the Red Sox and Astros. Now it comes down to staying healthy and performing at an elite level down the stretch. Josh Donaldson signs with the Braves. The reigning NL East champs don’t plan on getting complacent anytime soon. They inked Josh Donaldson to a 1-year, $23 million dollar deal. Expensive, yes. Betting on a 33-year-old to bounce back from two injury-riddled years is also a substantial risk. But as a one-year rental of a player that has the potential to hit 35+ home runs? It’s a worthwhile and calculated move. 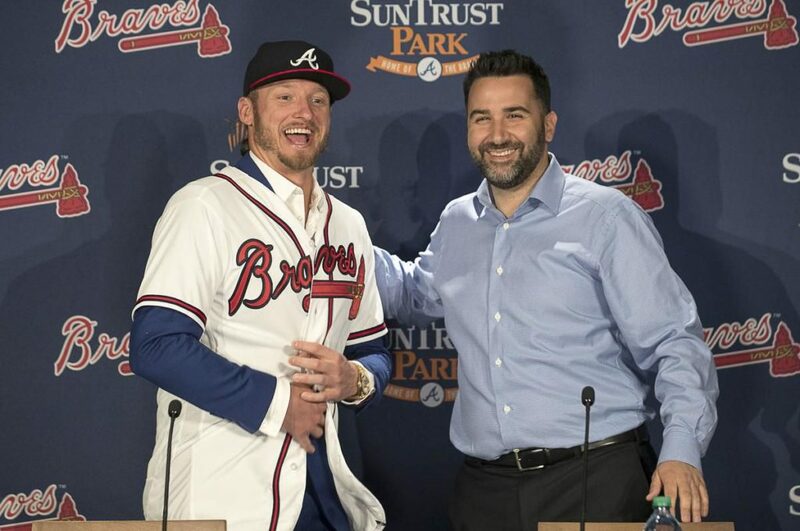 The Braves don’t lock themselves into a contract that cripples their future, and they acquire a veteran and former MVP that isn’t that far removed from an elite season. Personally, I love Josh Donaldson as a baseball player. I think he’s got a great baseball mind, and he’s competitive as hell. Good acquisition for the Braves, but they still need to go out and get some starting pitching if they want to take the next step in 2019. Brian McCann signs with the Braves. The young Braves team is getting another veteran in 2019, with McCann returning to Atlanta on a one-year deal. This mirrors the Josh Donaldson signing, except with a lower ceiling. The Braves are banking on McCann to return from injury to a .240ish hitter with 20 home runs out of the catcher position. He’ll platoon with Tyler Flowers with the departure of Kurt Suzuki. I think this is a great marriage, as McCann has personally expressed interest in returning to the Braves. Manny Machado to the White Sox. Someone’s going to pay big money for Machado’s services, but he may have lost a few suitors after some of his antics and comments at the end of 2018. He’s developing a reputation for being a dirty player, and openly admits to being a bum that doesn’t hustle. That being said, he’s one of the most talented players in the league, and will get a mega-contract probably in the $280 million range. Don’t look now, but the south side Chicago team has a plethora of budding young talent. What better way to supplement a franchise on the rise than with a cornerstone, generational talent? Chicago is a big market city. The White Sox have plenty of money to spend. They are devoid of talent at third base… it all makes for a perfect match, in my opinion. An infield of Machado, Tim Anderson, Yoan Moncada, and Jose Abreu is starting to look like (believe it or not) a formidable group of hitters. Don’t sleep on the White Sox as a landing spot for Machado. And don’t sleep on the White Sox in general. Bryce Harper to the Cardinals. No, Bryce Harper is not going to the Yankees. The Phillies seem like a nice fit, but I see them distributing money elsewhere. The Cubs and Dodgers are both long shots, and Harper wouldn’t fit smoothly on either of those teams. St. Louis, on the other hand, is a classic baseball town that needs a new face of their franchise. They’ve strung together a few disappointing seasons, despite having a well-balanced and productive offense. Adding a big bat in the heart of that lineup will reestablish the Cardinals as a threat in the NL Central. They have plenty of financial flexibility, and right field is wide open in St. Louis. Move the struggling Dexter Fowler to a platoon/backup option, and then you have an outfield with Harper, Ozuna, and can ride out the high-upside growth of young Harrison Bader. Harper would immediately become the man in St. Louis, a city that reveres its superstars. The Cards have indeed shown a willingness to commit to huge contracts – don’t forget, they were finalists in the Giancarlo Stanton sweepstakes. Out of all the potential landing spots, St. Louis should be at the top for Bryce Harper, both from a financial and common-sense standpoint. AJ Pollock and Patrick Corbin to the Phillies. The Phillies, rather than spending $400 million on a single player, will be smart and pursue the more cost-effective production from AJ Pollock. He has stud potential, especially as he gets further removed from the myriad of injuries that plagued him in 2016 and 2017. His campaign this past season was encouraging, as he put up a .257 batting average with 21 homers and 13 steals in just 113 games. I’m a strong believer that Pollock can return to the multi-threat player that he was back in 2015. The Phillies have been rumored to be shopping Carlos Santana (Minnesota Twins?) in order to move Rhys Hoskins to first base. That opens up an outfield spot next to Odubel Herrera, where Pollock would fit in perfectly. The Phillies also need to bolster their pitching, so expect them to land the top guy on the market in Pat Corbin. A 3.15 ERA and 246 strikeouts would be a welcome addition to Philly’s rotation, which is the main reason why they fell short in the playoff race in 2018. Aaron Nola, Patrick Corbin, and Jake Arrieta make up a playoff-caliber starting trio. Follow that up with the breakout potential of Vince Velasquez and Jared Eickhoff, and the Phillies could suddenly have a dangerous rotation. Signing Pollock and Corbin is a really good offseason, even if it isn’t the huge splash that Philly fans were hoping for. Dallas Keuchel stays with the Astros. There are plenty of teams that will want Keuchel atop their rotation, but expect him to remain in the comforts of his home in Houston. The Astros, now down a starter with McCullers going through Tommy John surgery this offseason, are going to be desperate to hold onto their guy. They’ll offer him 1-year above market value, and Keuchel will have no motivation to leave a World Series contender. Craig Kimbrel to the Angels. With the Mariners expected to start a rebuild, the Athletics being a huge variable every year, and the Astros getting slightly weaker, the AL West might be about as open as its going to get for the Angels. The Mike Trout era in Los Angeles might be coming to a close, so I’m expecting (hoping, for once) the Angels to be an active team this offseason. They don’t have an established closer and have a pretty horrible bullpen. So why not go out and fix it by signing one of the best closers in the game? Kimbrel was really shaky in the playoffs, but the Angels shouldn’t care. Their priority should be winning regular season games, with less pressure. 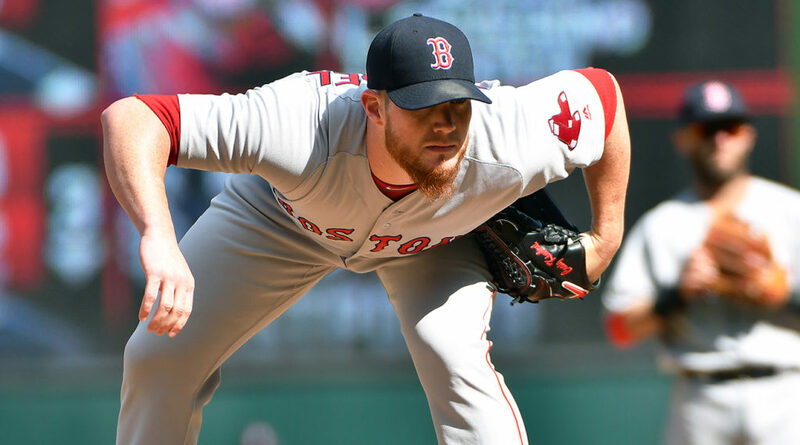 The Red Sox have too many contracts coming up to pay Kimbrel the $60-$70 million that his market is going to demand. Los Angeles has plenty of flexibility to bite on that number. Yasmani Grandal to the Astros. Brian McCann is no longer in Houston, and Evan Gattis is far from an everyday catcher. The remaining potential catching options for the Astros are pretty barren, so acquiring Grandal seems like an obvious match. He is a switch-hitting offensive threat that should fulfill Houston’s need perfectly. Madison Bumgarner traded to the Brewers. The Giants are a pretty long way off from being competitive in the NL West, let alone the NL as a whole. Their best bet right now is to acquire as much young talent as they can. 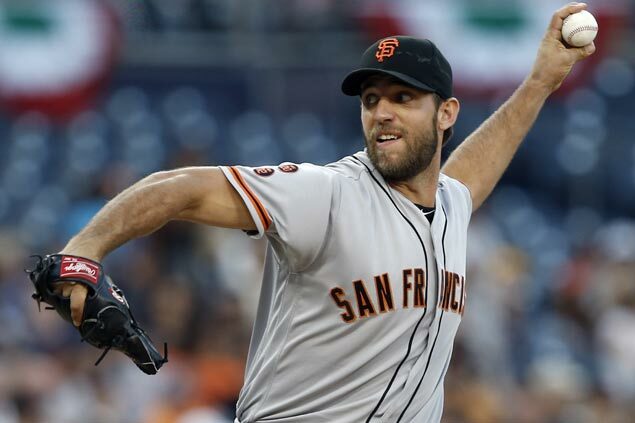 Madison Bumgarner will fetch a big haul for San Francisco, but dealing him won’t go smoothly with that fanbase. Nonetheless, considering the limited starting pitching options in free agency, the Giants will be able to host a bidding war for their ace. Ultimately, I’m expecting the Milwaukee Brewers to put together a package for Bumgarner. They have a dire need for a frontline starter; that’s the main reason why they lost the NLCS to the Dodgers. He’s only under control for one more year at $12 million, but that’s a huge bargain for a pitcher of his caliber. Bumgarner is (usually) durable, consistent, and has one of the best postseason reputations in the game. The prospect package might be steep, but Milwaukee’s Brandon Woodruff and Corbin Burnes are a pair of talented righthanders that could headline a deal for Bumgarner. He’d be a great fit, and would legitimize the Brewers as a cons­istent World Series threat. Relying on your bullpen only gets so far, and its not sustainable year-in and year-out. This should be one of the more interesting storylines to watch this offseason.